Only one person per address may receive food. When multiple individuals live in the same house only one can receive food. This is in fairness to families with children who are only entitled to one visit every two months. Your opinion matters. 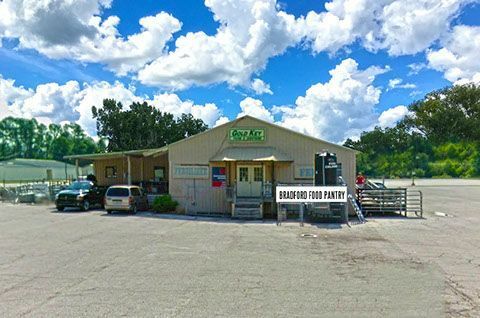 Leave A Review Or Edit This Listing for Bradford Ecumenical Ministries Food Pantry. A full serving of food including at least one brown bag of dry and canned goods, fresh meat, bread and pastries and veggies if available is given every 2 months. Bread and pastries are available every 2 weeks. Proof of Bradford Residency and Proof of children (if they are claiming children to receive additional food for minor children) is required. The majority of our food is donated by Bradford Residents and Businesses and picture ID is required. USDA food is given without ID but with proof of Bradford residence. The pantry is operated solely by volunteers and is not staffed except during the above hours. We always need more information on our pantries. If you know of any details, volunteer information, website, hours or more description information about Bradford Ecumenical Ministries Food Pantry please add a comment (below the map on this page), with information. We will then display this for all visitors on this page.